Houston, Texas – March 28, 2017 – “Faster and easier.” That’s how the ValoraLife team describes its simplified life insurance quote experience. 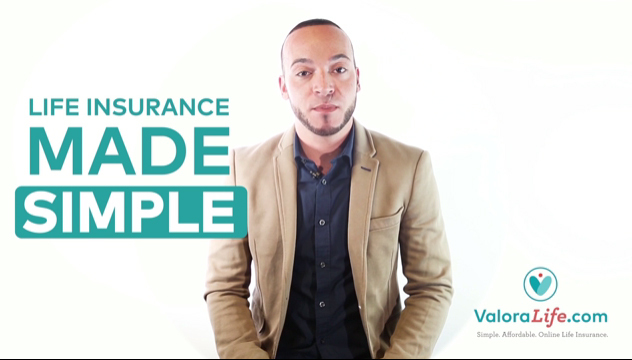 ValoraLife, a bilingual approach to purchasing term life insurance online, has made its no-obligation quote process even faster and easier to use. The life insurance quote experience, accessible via mobile devices, was modified to appeal to today’s Latino and millennial consumers. ValoraLife launched June 2016 in Texas with a consumer-friendly website, which was recently recognized with W3; Award honors for creative excellence on the web.1 Now available in fifteen states, Valoralife.com may be accessed from mobile devices in English or Spanish, enabling users to get simple, affordable life insurance in approximately 30 minutes. Now, with the quote experience modifications, users simply go to ValoraLife.com and click on the “View Quote” button to see instantly how much they would pay for the coverage they want. One aspect of the ValoraLife experience has not changed; users are not required to enter any personal information during the quote process. Consumers told ValoraLife they prefer not to be contacted by companies so early in the process. “Many people, especially middle-income Latino families, believe life insurance is complicated, too expensive and it’s not a priority because of other financial responsibilities,” said Hernandez. Yet, a recent LIMRA study indicates that almost half of Latinos are very concerned about dying unexpectedly without adequate financial protection compared to about one third of the general population.3 ValoraLife is simple, quick and affordable and can help family members maintain financial stability if the insured dies unexpectedly. “We have made it so easy, there really is no excuse not to get a quote right now,” Hernandez said. Other ValoraLife innovations will be announced throughout the year. ValoraLife offers a simple, affordable way to buy life insurance online that helps people fulfill the promise to protect what they value most – their family’s future. ValoraLife offers two options: ValoraLife Term and ValoraLife Term Plus. ValoraLife Term Plus provides a return-of-premium feature that returns 100 percent of the premiums paid if the insured outlives the term of the policy (less fees and policy debt) – the first of its kind available online. ValoraLife is backed by MassMutual’s more-than-160-year legacy of financial strength. For more information, visit www.valoralife.com or find ValoraLife on Facebook, Twitter, and Instagram. MassMutual is a leading mutual life insurance company that offers a wide range of financial products and services, including life insurance, disability income insurance, long term care insurance, annuities, and retirement plans. For more information, visit www.massmutual.com.